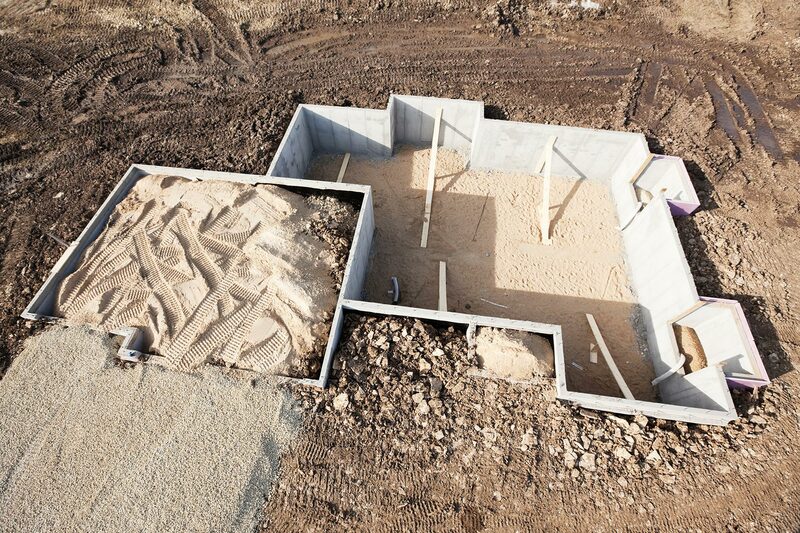 Canyon Excavating has provided the highest quality in basement and foundation excavations for over 50 years. Whether you’re planning a new residential construction project, adding on to your existing home, expanding your acreage or creating in-fills, the Canyon team promises swift, reliable excavation services. We handle everything, from the initial site inspection, back-fills, compaction and rough grading. With the use of Canyon Excavating’s line of Hitachi EX200, Hitachi ZX240, and John Deere 200LC hydraulic excavators, you will be guaranteed peace of mind with your excavation done right and professionally the first time. We currently work in Edmonton, St. Alberta, Stony Plain, Spruce Grove, Sherwood Park, Beaumont, The Town of Leduc, Leduc County, Sturgeon County and Strathcona County. If you have any questions, or would like Canyon to be a part of your next project, please Contact Us. Canyon Excavating is proud to offer dependable excavation services for commercial and industrial projects in Edmonton and throughout the surrounding region. Whether it’s an Industrial complex, a strip mall, a warehouse or a storage building on an acreage, Canyon can handle all your earthwork needs. 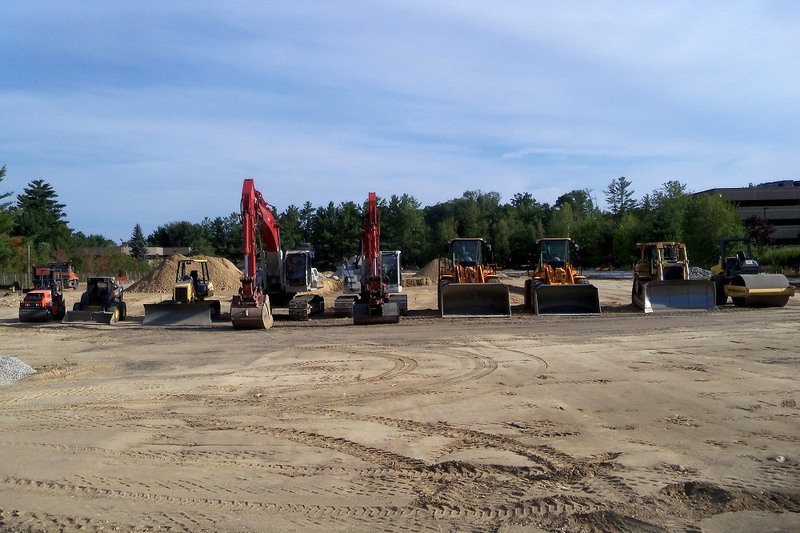 Canyon Excavating’s crew, with over 50 years of experience, will perform the highest standard of work for any commercial and industrial site project. Canyon will provide you with excellent quality, swift service, and peace of mind on your next project. Provide reliable access to your property regardless of the weather. To reduce the amount of mud and other debris tracked out and left on the adjoining streets by vehicles. Properly installed culverts are an integral part of all site plans. A well – constructed road is a major investment. Built with suitable drainage, your investment will be protected. Future expenses related to repairs will be kept to a minimum. Reliable access is assured throughout the year. Culverts can also help in the enhancement of water features such as ponds. 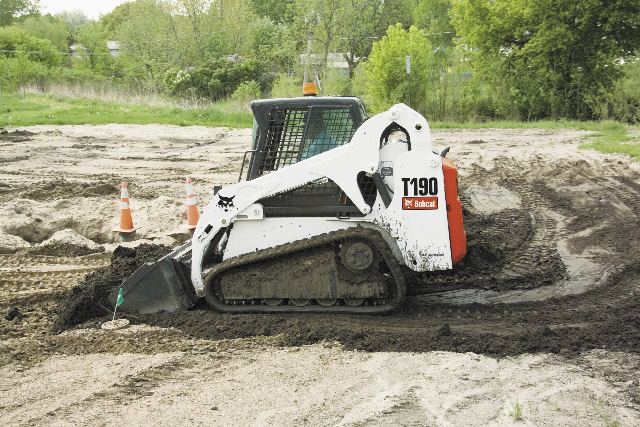 Canyon Excavating has experience in constructing all types of ponds. Whether the pond is for aesthetics or serves a number of functional purposes, Canyon Excavating knows how to turn your vision into reality. Ponds often pay for themselves via increased property values and reduced site repairs. Ponds also provide additional wildlife habitat and contribute to a greener environment. Canyon Excavating has become synonymous with quality, affordability and prompt service. We own and maintain a fleet of heavy equipment with all the modern attachments for all types of demolition. We consider it a privilege to be in this business and love to solve complex demolition, remediation and recycling projects. Known for our commitment to safe operations, as we frequently work in the challenging of environments where assets are to be protected, environmental factors need to be addressed and schedules are challenging. Canyon Excavating has the experience to mitigate liabilities, whether they are environmental or safety related. Our focus is to provide the highest caliber of service and maintain a safe worksite while we rapidly transform our client’s real estate back into a valuable asset. We also provide waste removal and waste hauling services post-demolition. 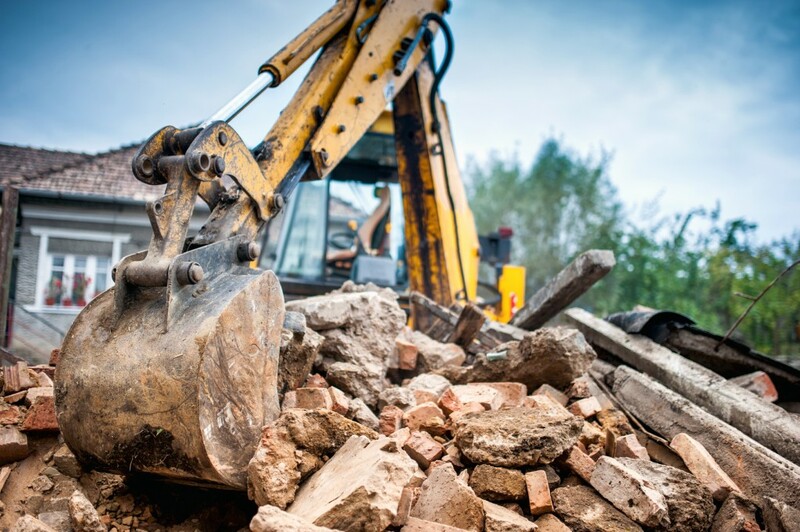 Our team has all the equipment to get your demolition project done right and done safely – starting from permitting to site cleanup and final grading. 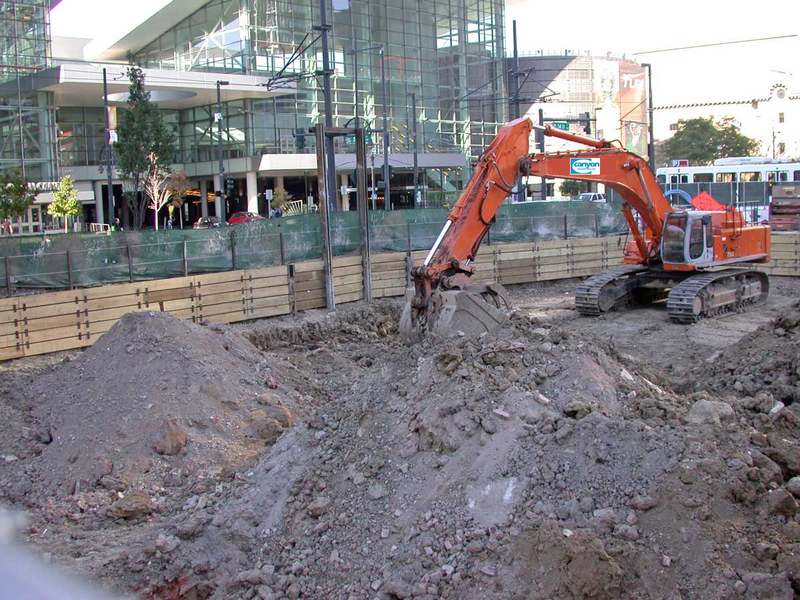 Canyon Excavating is an industry leader in providing large and small scale demolition services. We have numerous projects under our belts, including work in the industrial, commercial and residential sectors. Our wide range of equipment and experience enables us to handle projects efficiently, safely and on time. We take the health of our environment seriously and use every available option to recycle, re-purpose or reuse construction materials. Count on us for all your residential and commercial demolition needs throughout the Edmonton area. Please don’t hesitate to contact us for all of your demolition needs. Canyon Excavating develops a comprehensive plan for demolition prior to actually beginning this phase of a project. One or more walk-through tours may be required to ensure every scenario has been addressed with a suitable solution. Soil samples and other related tests may need to be administered in order to identify potential trouble spots. This is also the time that we search for hidden treasures that we can unearth and incorporate into the project, saving both our resources and our customer’s money. These savings may include any recycling, redistribution and/or resale options related to the salvageable materials identified and separated from the debris. 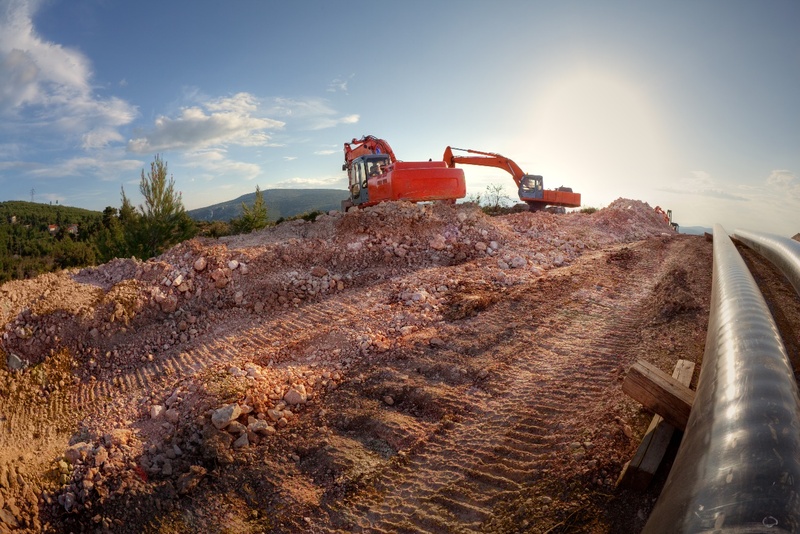 If there are materials that can’t be recycled, Canyon Excavating takes every precaution to ensure that this debris is removed and disposed of within the proper guidelines. Experience dictates that no two demolition projects are ever exactly the same. At first glance, it may look like just an average building or two that needs to be torn down. In actuality, the demolition work may only begin with the above-ground structure(s). There are frequently times when the largest part of a demolition project is located below grade. These hidden hazards can go unnoticed to an untrained eye and can wreak havoc to both the construction time line as well as the budget if not properly addressed. Toxic waste and asbestos are examples of environmental hazards that must be removed by a trained professional as required by various governmental agencies. Canyon Excavating emphasizes the importance of developing and maintaining a professional and positive alliance with any and all Federal, Provincial and municipal regulatory offices associated with a demolition project. The safety of our employees and our customers depends on our strict adherence to all relevant regulations. Our commitment and its success are validated year after year through our impeccable safety record. Canyon Excavating performs all the excavation, earthworks and trenching services for residential and commercial clients required for the installation of underground utilities. Whether you are installing gas lines, underground cables, or sanitary lines, we have the equipment and the expertise to complete your work efficiently, correctly and safely – for any size of project. Often times, our work is done in conjunction with other utility providers such as Atco, Fortis and Epcor, for projects such as joint trenching, to ensure your job is completed on schedule. You can rest assured knowing that we will always treat your property with care and respect while we perform your trenching project. Call us today to schedule a meeting and learn what we can do for you. At a glance, clearing a designated landsite for either a commercial/industrial or residential project may seem similar in scope. However, commercial site work is not just a dozer pushing dirt around and clearing the property of trees and vegetative debris. An experienced contractor knows the requirements and regulations set by Federal, Provincial and local agencies which specifically define, differentiate and ultimately dictate how a project will be classified and the steps required to be in compliance for each phase of construction based on the classification. Canyon Excavating has built strong professional working relationships with inspectors, government/municipal employees and all other officials which govern any commercial project. They have to understand the inner workings and the behind the scene scenarios that are involved in construction planning before the first piece of equipment can show up at the jobsite. During construction, the contractor must have the expertise to tackle any issue(s) in a professional and expedient manner, or risk having the entire project shut down indefinitely. Commercial developers and project owners rely on Canyon Excavating to properly adhere to every regulated specification, build and maintain strong professional working relationships with all regulatory agencies while performing all aspects of land preparation and site development designated by the drawings and blueprints. Our resume includes everything from commercial buildings to lease roads, drilling sites, residential developments, industrial warehouse facilities and pipe yards. Since 2006, Canyon Excavating has been building the groundwork and reputation required to successfully navigate the challenges associated with any commercial and industrial construction project and produce a finished product that exceeds all expectations. Our possession of the skills, contacts, knowledge and equipment required to continuously complete projects under budget and ahead of schedule enables our customers to re-invest additional profits back into our community, benefiting us all. We take pride in our reputation for being the contractor our clients depend on for all their commercial and industrial site preparation.